There’s not many tools available specifically for MetroCluster but I’ve added the ones I found below. If anyone knows of any others please let me know and i’ll update this post. The FMC_DC can be downloads from here -> http://mysupport.netapp.com/NOW/download/tools/FMC_DC/. It will require a NetApp NOW account. The FMC_DC is the Fabric Metro Cluster Data Collector which can be configured to gather information on all components (controllers, switches, bridges etc.) of the MetroCluster infrastructure. Once the components have been added a health check can be run. This health check appears as a card on the application and will show whether the components are healthy or need further investigation. 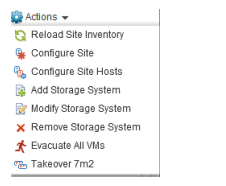 While the FMC_DC doesn’t provide any management features it does provide peace of mind that all components are configured so that failover can be successful. If you’re doing a DR test I’d definitely recommend using it. 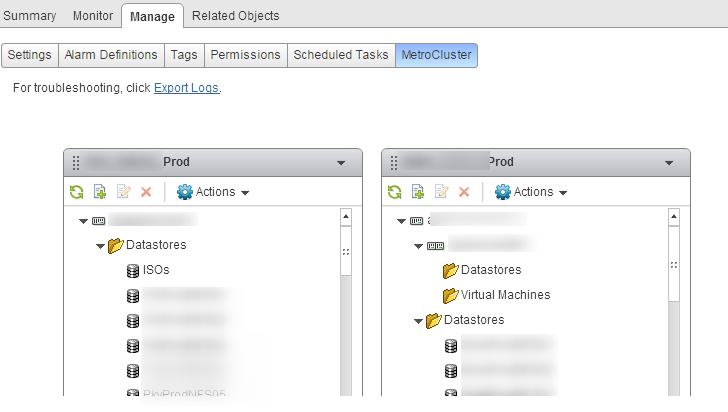 To access the MetroCluster plug-in select the cluster and click Manage. The MetroCluster tab will be at the end.